Listening Post 93. World War I hostilities began in Europe on August 4, 1914—and 976 days later the United States joined the conflict. 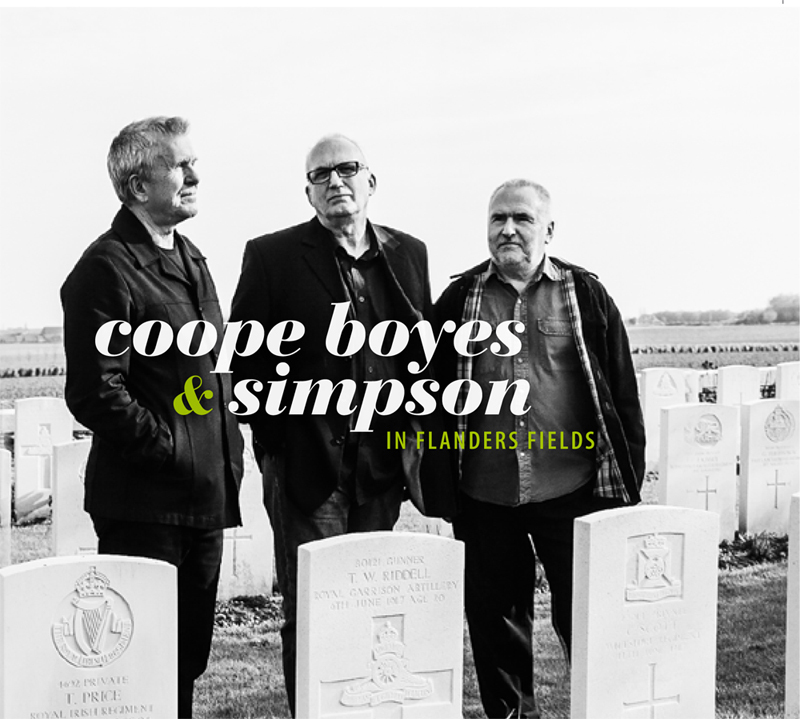 On August 4, 2014, the English a cappella trio Coope Boyes and Simpson released a sweeping 50-track homage to the songs of the war and the British soldiers and civilians who sang them. 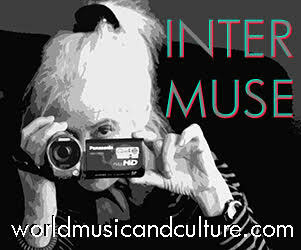 Now, some 976 days after the album’s launch, a review from an American music blog seems belatedly on time. In Flanders Fields is a landmark collection of penetrating harmony. With period songs and their own compositions, Barry Coope, Jim Boyes and Lester Simpson—veterans of the English folk scene and of wartime remembrance—etch searing images of carnage and courage. “Who’ll sing the anthem and who’ll tell the story,” they chant in Only Remembered, a nineteenth-century hymn adapted by John Tams for the stage play War Horse (video 1). There’s grim reality in Standing in Line, about soldiers waiting in trenches for the often fatal order to go “over the top”; and in Down Upon the Dugout Floor, where corpses were laid. One survival tactic was humor; Lloyd George’s Beer recalls watered-down army ale designed to reduce drunkenness (video 2). The Sergeant Major’s Having a Time (with the memorable refrain, “inky-pinky parlez vous”) offers simple diversion, while Hanging on the Old Barbed Wire is biting satire. Spring 1919 balances the hope that came with peace against agonizing memories (video 3). Footnote (video 4): We’re Here Because We’re Here is also the title of an extraordinary work of performance art, a largely wordless World War I memorial that instead of waiting for people to visit went out and visited them. The date commemorated in the video—July 1, 1916—was the first day of the Battle of the Somme. Among the dead that day was poet-Lieutenant William Noel Hodgson, noted above.